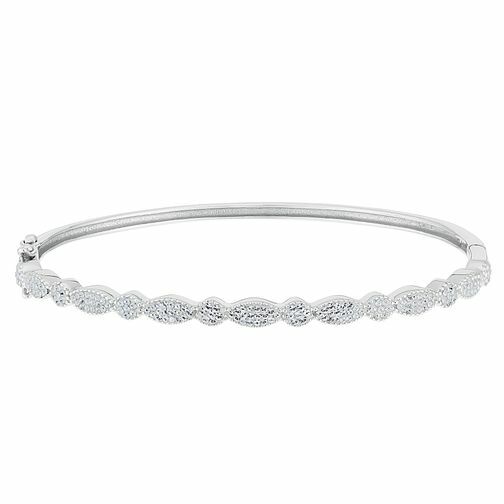 Feminine and fun, these beautiful Evoke Silver Crystal Hinge Bangle is impossibly stylish. Crafted in sumptuous silver tone set with cubic zirconia stones. Elevate your daily look with this simply stylish bangle.